As sad as it is, sometimes “home for the holidays” isn’t as true as it should be. Between traveling for work, inclement weather, and any other unexpected variables, sometimes you may find yourself separated from loved ones during the season that you should be with them most. While in the past you might have had to endure a lonely winter without even hearing the voices of friends or family, modern technology is here to save the day! There is now a wide range of smartphone applications that allow for video and voice chat between you and those you care about. Many of them even have other capabilities like messaging and games. If you’re baffled by the sheer number of options available to you, be baffled no longer! 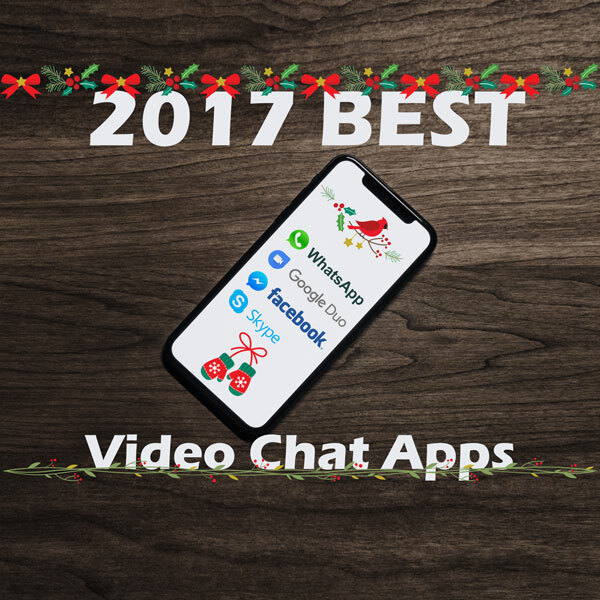 This handy guide will give you the rundown of the most popular video chat apps so you can stay connected over the holidays. Odds are you’ve heard of this one. This popular video chat program is available for phones as well as computers, which is a huge mark in its favor. The ability to chat cross-platform between computers and smartphones is incredibly useful as it increases the chances of your friends already owning the application you’re trying to contact them on. You can also use Skype to simply message others, OR make phone calls using your phone number, for a small fee. This popular texting application can also, surprisingly, be used for video chat! The process of using WhatsApp for video calls is extremely straightforward and easy to grasp, requiring only a single button press within a contact screen. While WhatsApp does not support group video calls, it is capable of voice chat AND messaging, and performs the latter quite effectively. The sheer popularity of WhatsApp also makes it far more likely that your friends already have it downloaded. And since it’s cross-platform between different types of smartphones, you never have to worry about being able to contact your friend with an iPhone! If you’re on Facebook, you’ve definitely used or at least seen its messenger feature in action. While yes, Facebook Messenger is primarily a messaging application, it also has the ability to host video calls. Actually, you might have accidentally nudged the video call button while in the phone application, as it is rather easy to do. As the video chat feature is baked directly into the messaging part of the app, it’s super easy to start a video call. Simply press the video call button and wait for the other person to answer. Unfortunately, the video call button is almost TOO easy to press. It can be jarring to mistakenly call your friend and see your front-facing camera activate, displaying your shocked expression. 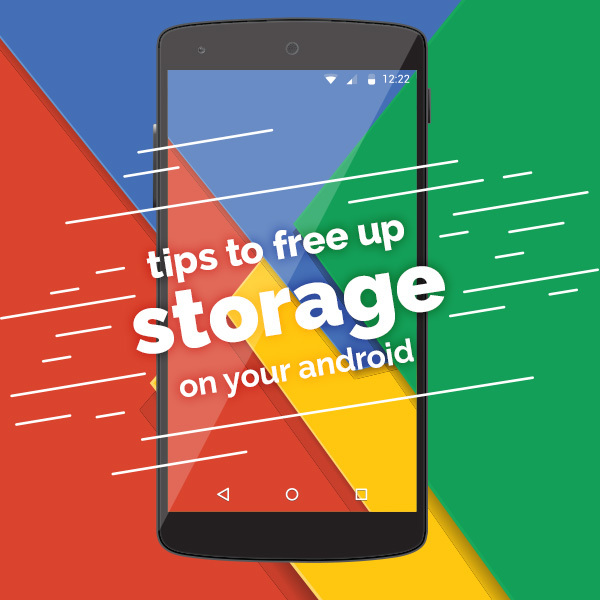 Despite this, the app itself is quite useful and contains a wide variety of features, from built-in games to emojis to sending money electronically. Additionally, most of your friends and family probably have a Facebook, meaning they already have the ability to video chat with you! This potentially makes Facebook Messenger the most popular video chat option out there. If you’re interested in a more secure video chatting experience, Google Duo might be for you. Every single conversation you have with this app is encrypted, meaning that the data of your conversation is stored in a scrambled state. This makes it hard for prying eyes to invade your privacy through the web. Google Duo also has a feature called Knock Knock where you can see a preview of who’s calling you through that person’s front-facing camera. This of course also works for whomever you call. Before you start getting worried that you won’t have time to pretty yourself up before the other person answers your call, know that this feature can be turned off. Besides these unique features, Google Duo also boasts cross-platform capabilities between iOS and Android, the ability to add contacts through phone numbers, and can perform audio-only calls. But really, why would you? While these are only a few of the most popular options available to you when it comes to video chat apps, many of them share a large number of features. As this is commonly the case, it often falls to the individual user to decide for themselves what they prefer based on personal opinion. While you might like that Skype can do group calls while WhatsApp can’t, maybe WhatsApp’s interface appeals to you more. Maybe Google Duo is easier for you to use than something like Facebook Messenger. Much like anything you do with your smartphone, the experience is deeply personal. Make sure you try as many as you can before settling on one. You have the freedom to choose! If you’re worried about being away from loved ones this holiday season, and you don’t yet own a smartphone to video call with, you should come join us at Q Link Wireless! 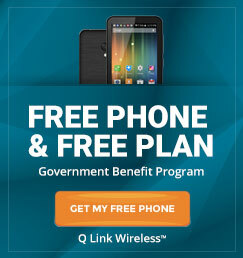 Sign up here today and we’ll hook you up with a free new smartphone complete with free monthly data and minutes. Don’t be left out in the cold this winter. Grab your smartphone and get connected today!